As you likely heard by now we have some snow on the way beginning Tuesday afternoon through Wednesday morning. The GFS shows light snow falling from 2pm Tuesday to 10am Wednesday. 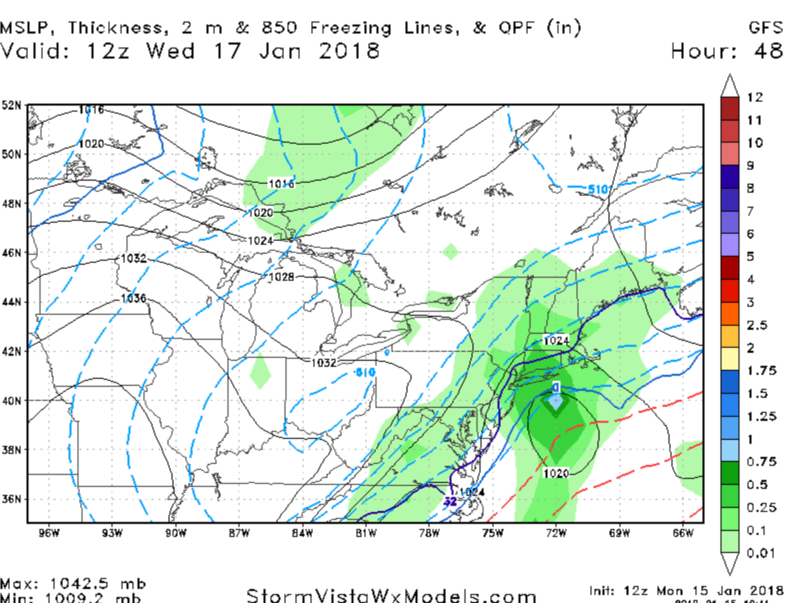 It even tries to pop a coastal low to bring about moderate to heavy snow over portions of Long Island and southern New England. 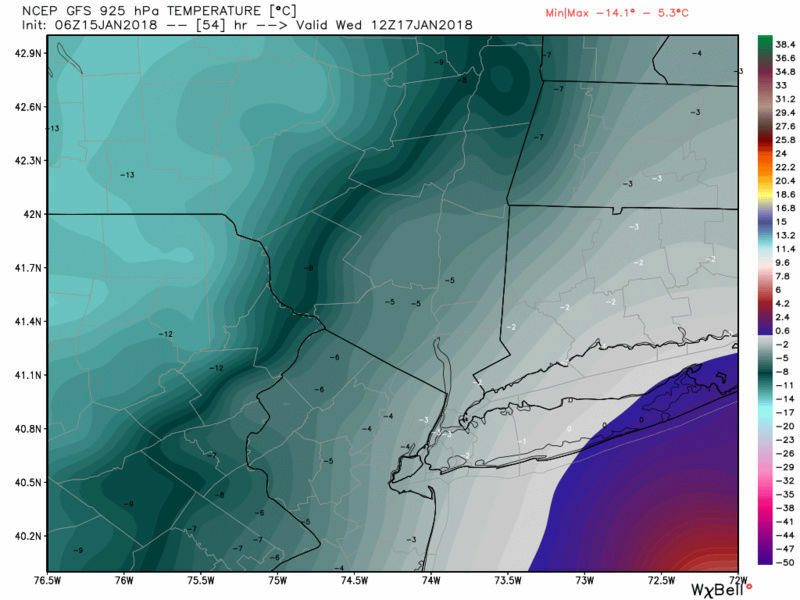 Surface temperatures look to be above freezing for the immediate coast, including NYC, but boundary temps are plentiful cold to support snow and not rain or mix. Due to the light intensity of the snow I am not expecting much accumulation on major roadways. Side roads and cold surfaces will get covered, however. I am thinking 1-3 inches for SNJ, CNJ, and the Jersey Shore. 2-4 inches for LI, NYC, NE NJ. 3-6" is possible for NW NJ, N&W of NYC, and much of east-central and NE PA.
Start time likely to be 11am Tuesday (for NYC, earlier west) with an end time overnight Tuesday. Frank LI esp east end needs to watch for mixing issues. There is a warm nose poking in at 925mb on most models. how far west is the question. Euro is the warmest, NAM coldest with GFS kind of inbetween, but leaning colder. Although you might be correct in that snow across the entire region is possible eastern sections must entertain this possibility of mixing; esp out by me. Frank, thanks for this new thread and the update!! Looks like the HV might get to 4 inches on this one.Elevation and ratio working for me on this one. As long as it’s not sleet! mikeypizano wrote: As long as it’s not sleet! 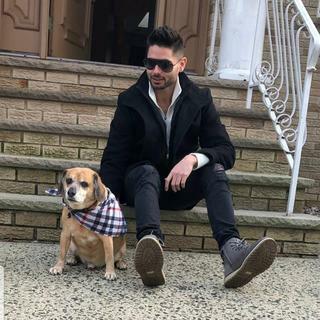 Mikey, how did you make out in the last storm? Aresian in west PA got 5.5 inches. Wow, much juicier for me in the HV! Maybe what Mugsy posted about JB's 4 to 8 is possible! Im confused sci says 17th but you guys are taking tomorrow and wed the 16th and 17th? I have drive back home from eastern CT tomorrow should I head back tonight or will the trip go ok? I'll take that might be looking at a snow day in some places on wed no? jmanley32 wrote: Im confused sci says 17th but you guys are taking tomorrow and wed the 16th and 17th? I have drive back home from eastern CT tomorrow should I head back tonight or will the trip go ok? I still think these totals are WAY overdone, and think a coating to 2", maybe 3" MAX is what results. It's a clipper - moisture-starved and quick. rb924119 wrote: I still think these totals are WAY overdone, and think a coating to 2", maybe 3" MAX is what results. It's a clipper - moisture-starved and quick. Ok you, back of the line! Rb I have seen Clippers put down nothing and over perform. The nws in Albany seems to like the latter with a good 3-6 in my area will see. Also i am reading from the nws that its not just the clipper, it will be helped by the coastal to bring moderate snowfall. if they are right. What about the low that most models have developing on the front? 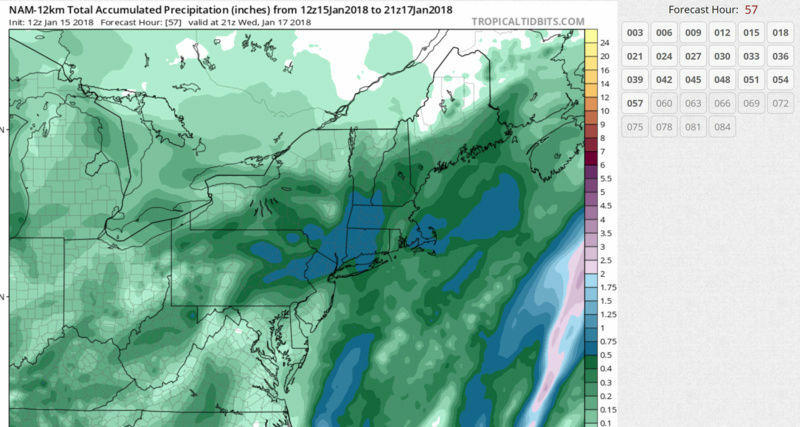 It's very possible this enhances the precip and gives Hudson valley 3-6. especially when most models show it snowing from Tuesday afternoon thru wednesday morning. I just checked NWS Albany snowfall forecast for the event and they have Poughkeepsie area getting 5 so it's a definite possibility. Yea hyde that's what i am hearing, it looks good right now for a nice snowfall but again will see. Where's the forcing for all of this? I certainly can't find any lol your H5 energy is way strung out and lagging the surface feature, and you have a rapidly decaying jet structure. Your main forcing mechanisms for deep vertical motion are entirely disjointed and/or weak/decaying. There's no way you're gonna get a half-foot of snow with all of your forcing for ascent coming from H7 and below lol there's nothing to expand the precip shield and draw it northwestward back into our area. It's gonna be concentrated around any low-level circulation, which even if it does develop is offshore. Snow showers and periods of light snow. No dendritic growth, just needles and columns, which don't rapidly accumulate. I just do not see this happening. Even without any additional enhancement this was still looking like a 1-3 inch type event. It won't take much to get us into 4-6 inch range plus it snows for around 18 hours. The 12z GFS, NAM, RGEM, CMC, all show HV getting around .50 liquid equivalent so they are indicating some forcing. When all models show this in this short time frame I'm going to say this is a very good sign especially for inland areas where temps won't be an issue.